Coming this weekend, hopefully on the 30th of June, a new release 1.6 of Summoner Call will be available in the markets. 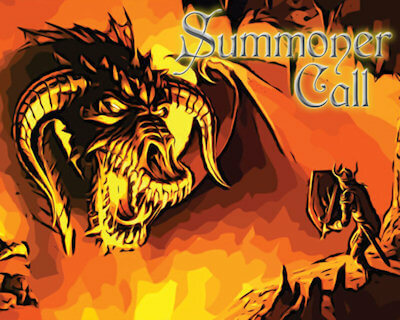 – Summoner Call Free: the game you already know, without any change, no locked features, and free to play forever! ADs free, no more ADs, ever! With the Unleashed edition you will support the development of the game and the multiplayer server costs. The game will always be Free to Play, and never Pay to Win, and the free users won’t have a great disadvantage. A new update 1.7 which will fix a major multiplayer bug, when the players are cursed, will be available in the next couple of weeks. This is a great game, one of my favourites so far. I only miss some forum or somewhere to post ideas and other comments that are hard to follow with a blog’s comment feature. Also, I play this on Archos70IT. Works perfect, but the sidebar provided the Archos eats up a bit of game screen. Luckily I got a custom firmware without such side bar, but you should take this into account for other users with default firmware. Feel free to send any suggestions by mail or write it down here, I always read the comments. How about a google code page? BTW I sent you a mail with some ideas and such. – CPU do not cast high damage spells while player casted the immuniti spell. – CPU do not cast attack spells dealing less damage than player defense. – You should review the characters’ stats win per level, I think they are a bit unbalanced. – Allow to save decks with less than 60 cards, although they are not eligible to play with. – Skill settings. I found the game a bit easy after a while. – Let the player to see achievements even if offline. – Game themes. Let the players to creater their own game cards art, store them in a .zip or .gz or whatever, and saving it to /sdcard/summoner/themes, from within a meno in game allow to choose custom themes. Hi! This game is awsome!! I would love to swe friend list or some kind of to Play with my friends! Is IT possible? for now you can only play multiplayer games with automatic matchmaking. There are usually not many players at the same time, so it wouldn’t be difficult to play with your friends. Anyway if you have some idea about it and would like to share, I’d be glad to hear what you think. Hey, how come i’m always playing last in all of my multiplayer games ? My opponent always get the first move, and i mean always, not “sometimes”. This obviously puts me at a great disadvantage (same as playing “black” on chess). What is the “hidden rule” to select who plays first ? the first player to join a game always play first. If you see there’s an open game an you join it, you will play as second. If there are no open games and you create it, you’ll be the first. In my opinion, this is a (small) flaw. Better randomize who starts first. Otherwise, some people will just wait in the lobby for a free slot in order to play first all the time. I had a few games where the opponent just gave up on the first turn. Such games are mentioned as “draw”. Some of these opponents were “High Ranking” ones, so i suspected this was not just a coincidence. Is there a way for a player to start a game, look at its hand, and should he doesn’t like it, or should he not like the first move of his opponent, just leave the game immediately to get a “draw” and start another one ? Abusing such technique would give such players a serious advantage. About the first problem, randomizing who starts is a really difficult improvement, but I will try to think to some workaround. For the second problem there’s not much to do. The “Draw” was introduced because of some players getting disconnected before even starting the game, that resulted in an unfair loss. It was played against a (relatively) high rank player with somewhat exceptionnal win/loss ratio. “You lost the game because you were too long in sending the command”. Well, i sent the command within the first second of my turn, so that’s not the correct reason. Furthermore, even if i would have been late (which happens sometimes), the normal outcome is that a random card is played instead. Not an “immediate loss”. Anyway, even if it is just a bug, it is somewhat a “game breaker”. I would humbly suggest to look into this one. please give me the nickname you use in the game, and the time (specify your timezone!) of that game, so I can look into it to see if there was something strange. I got the log of all the moves, perhaps it’s a bug in the game..
OK, since there are some account details, i prefer to send them to you in email. Is it thenex@nexgamestudios.com ? I noticed the server notification, a few days ago, stating that “from now on, no more draw whenever a player give up on first turn”. The new method to calculate draw games is already effective, as it’s on the server side. There are still ways around that, i.e. disconnecting the Wi-Fi before playing any card, or killing the process using the Task manager. I will monitor the amount of such cases, to see if there are players taking advantage of it. Please send me here or at my e-mail your nickname used in the game, I’ll be glad to check your games and see if there’s something wrong.